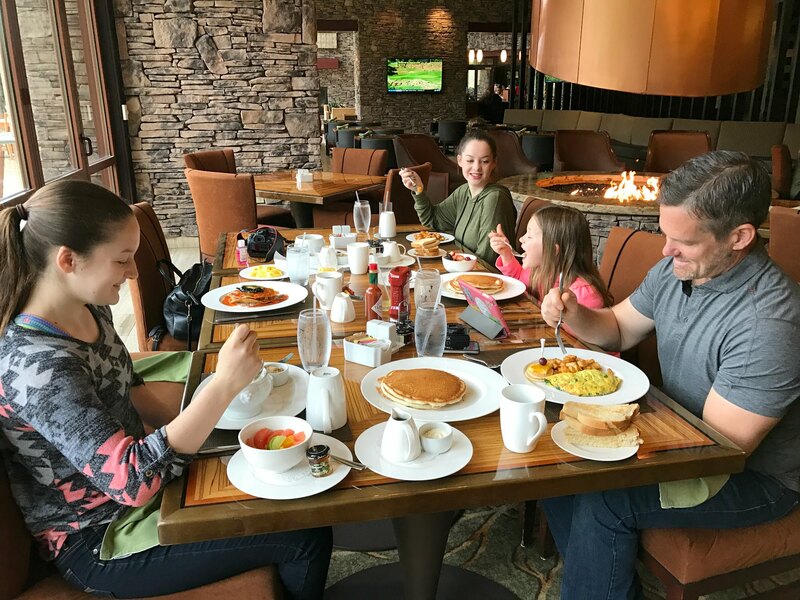 Family Adventure At Pechanga Resort and Casino Temecula Review – It's a Lovely Life! 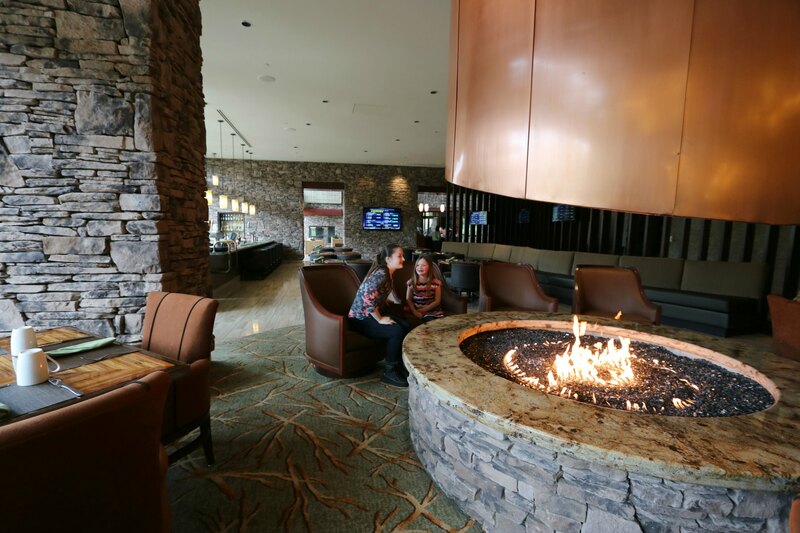 Pechanga Resort and Casino is located just north of San Diego and less than an hour from Orange County, which makes it perfect for a quick getaway. Thank you to Pechanga for hosting us. Pete and I have been working around the clock on our new guide to help other bloggers get started making money from their blogs. When I say around the clock, I mean it. There have been late nights and very early mornings, and although it is taking up a lot of our time, we wouldn't have it any other way. 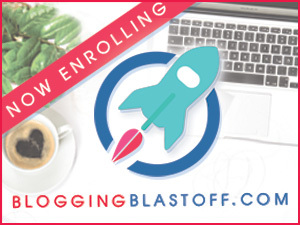 We are doing what we love, and helping new bloggers has given us a renewed excitement for our own blog. We are feeling a bit tired and in need of some serious R&R. 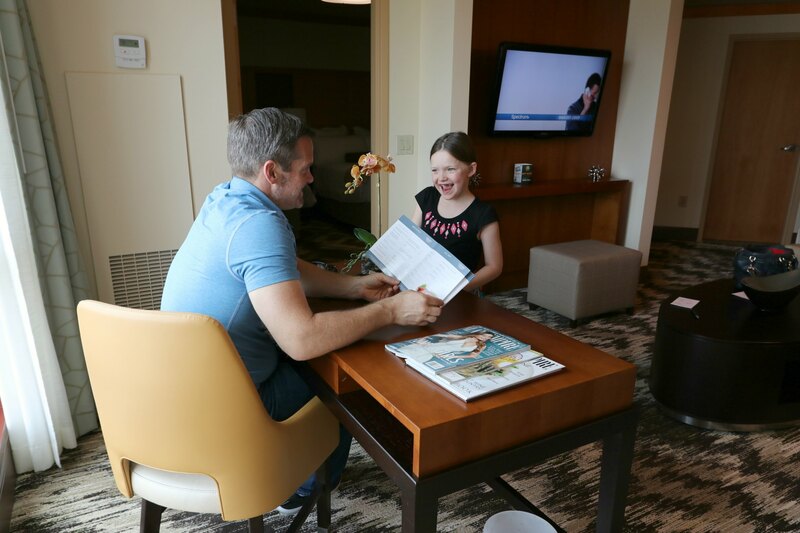 When Pechanga reached out and invited us to escape for a night up to Temecula for some family fun, we jumped at the opportunity. It was just what we needed! Since they are going through a huge remodel it was exciting to see the progress first hand. We already love how it is now, and we are eager to see it when it is all done too! We stayed in a one bedroom suite that sleeps 5. We normally stay in two bedrooms when we travel, but we found this to be spacious even with the five of us in it. I was particularly taken by the sophisticated colors and the Native American accents. 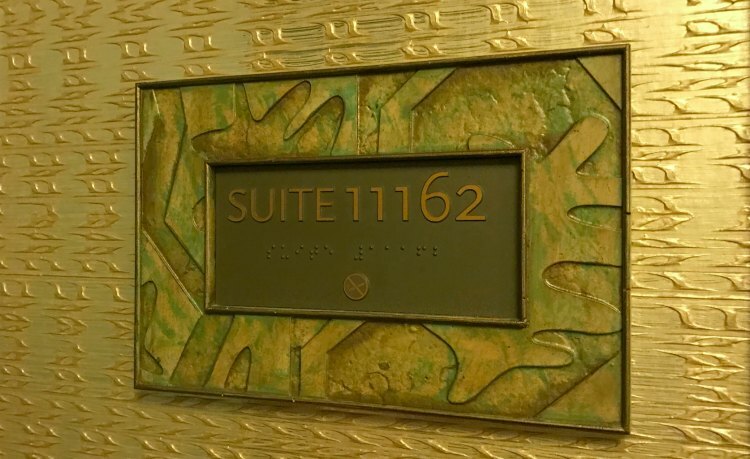 It felt very luxurious and well appointed. 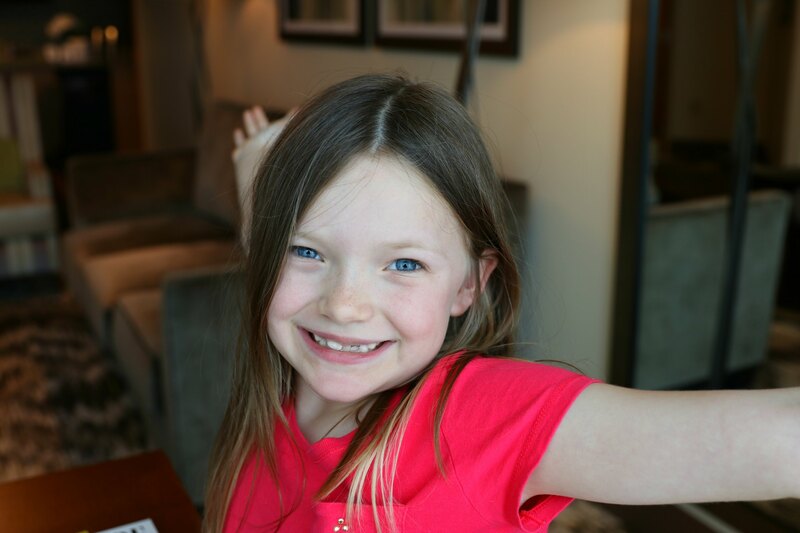 Emmy clearly agreed even though her smile is a big hodgepodge due to recently losing both top teeth! Pete and I had planned to really take the time off from work, but we both ended up still working a bit so the desk came in handy. In addition to the workspace, there was also a family room area and a wet bar with a dining table and a fully stocked mini-bar. And coffee… a lot of coffee. 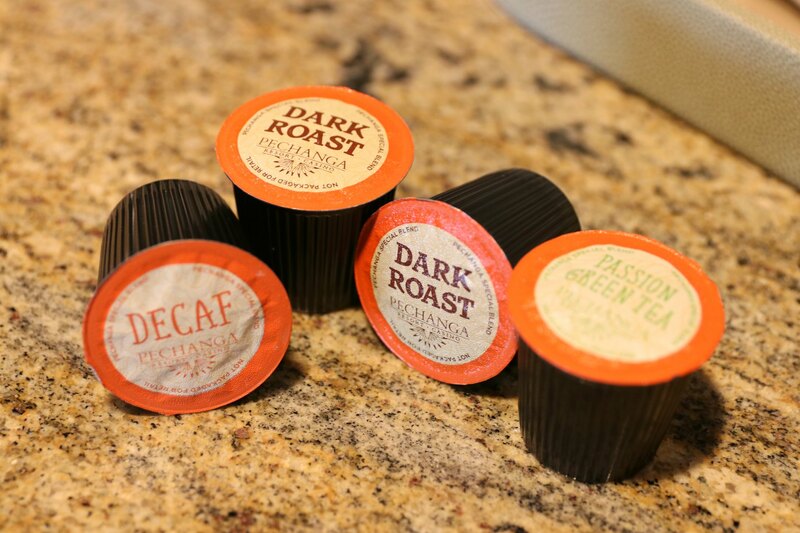 How adorable are the Pechanga K-cups? On the other side of the doors were the bedroom area and bathroom. The beds were so comfy! 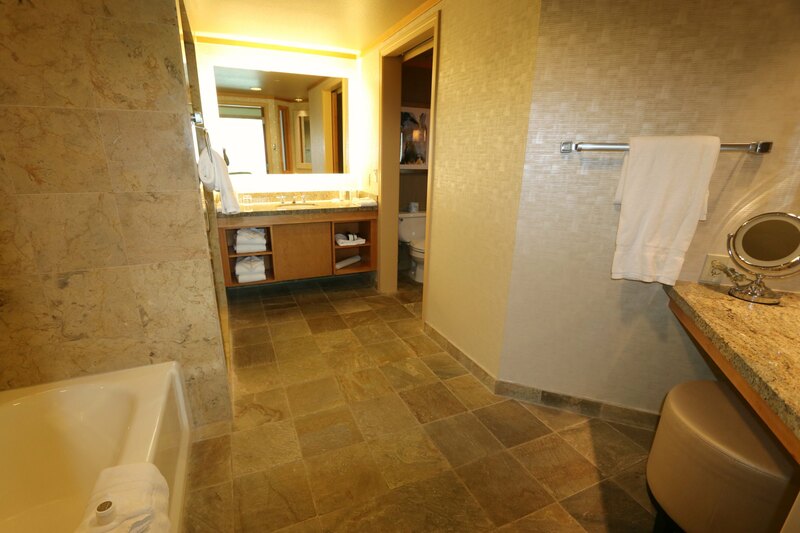 The neutral colors in the bathroom were very relaxing and the room itself was huge! Did I mention the food yet? Let's talk about that! First, there is room service. Not just any room service though. This room service has so many options and the food is good throughout the whole resort so you can't go wrong no matter what you chose to get! 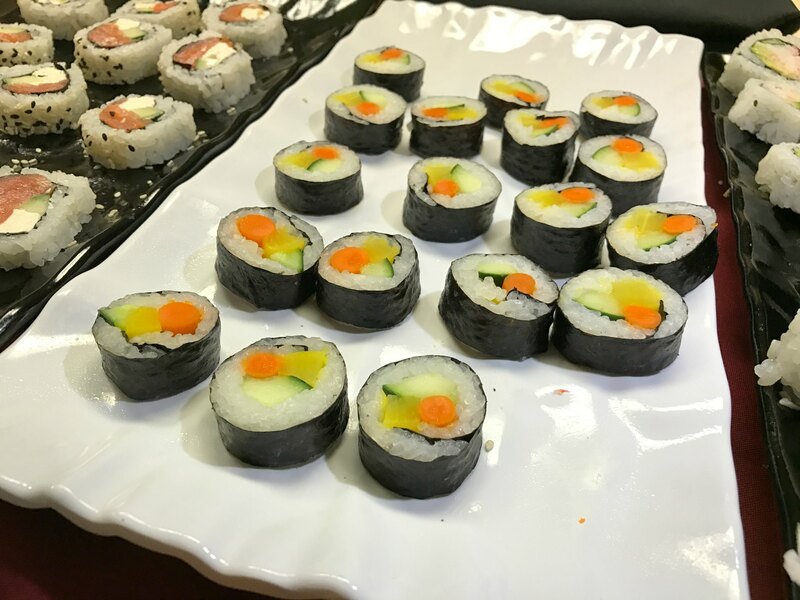 One of our favorite places to eat is at the Buffet. 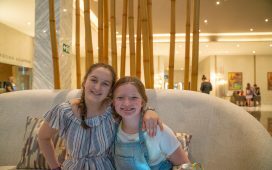 There are so many choices of food from all over the globe, even some good Jamaican food that reminded us of our time there last year. 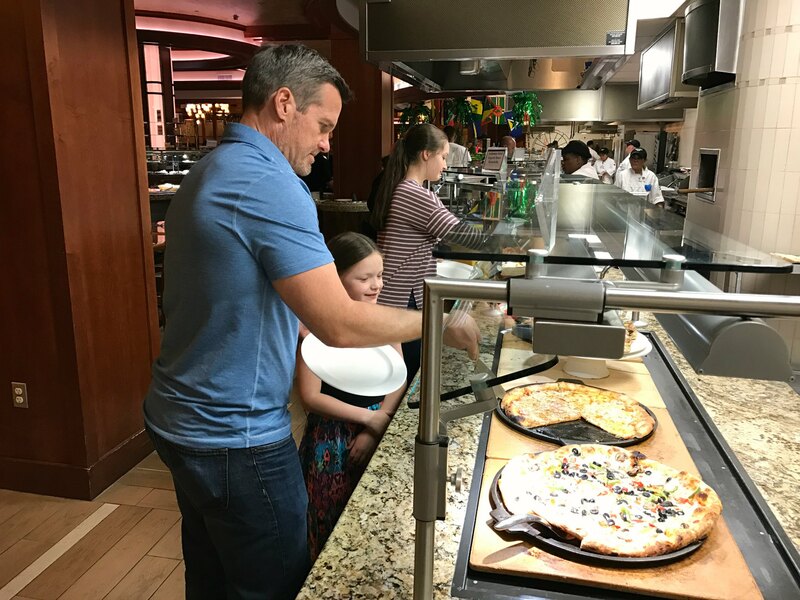 The pizza is also a family favorite. Not to be missed is the huge selection of desserts! 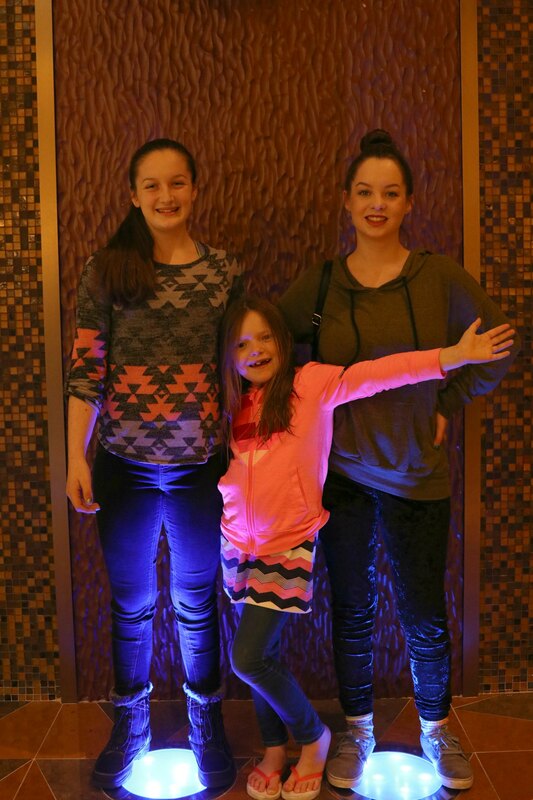 After enjoying the buffet, the girls headed up to the room to watch a movie, and Pete and I went back down to the casino for a little bit. We aren't huge gamblers, but we both enjoy playing slots for a little bit so we explored the gaming area and picked a slot machine to play at before heading back upstairs. 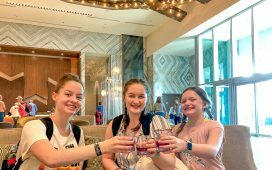 Having teens who love hanging out with their little sister and enjoying the “suite life” is pretty much the coolest parenting hack ever! Pete and I take full advantage of being able to get away like this even during a family vacation. While we were downstairs, we noticed that even the gaming area is getting an update, so if you have been here recently, prepare for a revamped and updated look! For breakfast the next morning, we decided to try something new. The gorgeous restaurant, Journey's End on the golf course. We had originally planned to possibly take some family golf lessons, but we didn't have enough time for it on this visit. Eating breakfast overlooking the course and golfers was a pretty close consolation prize for us. It was a really relaxing breakfast with some really great food! 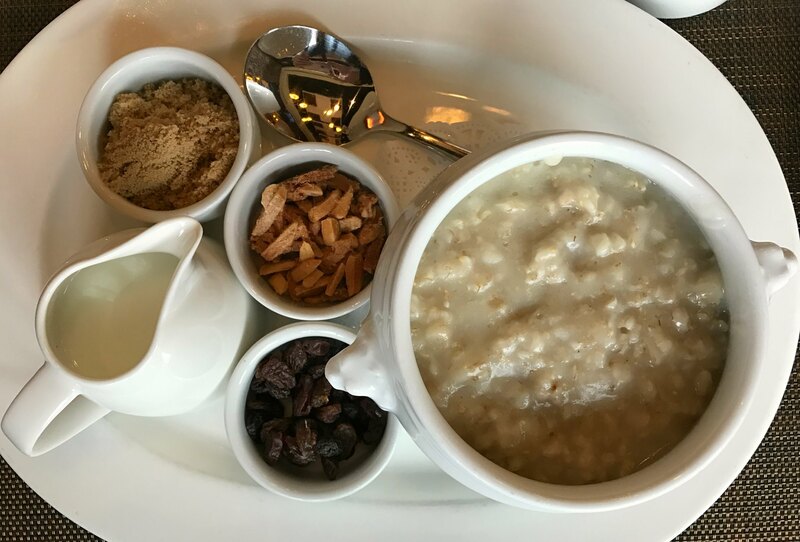 They serve traditional breakfast dishes that have an extra touch that make them taste anything but ordinary! 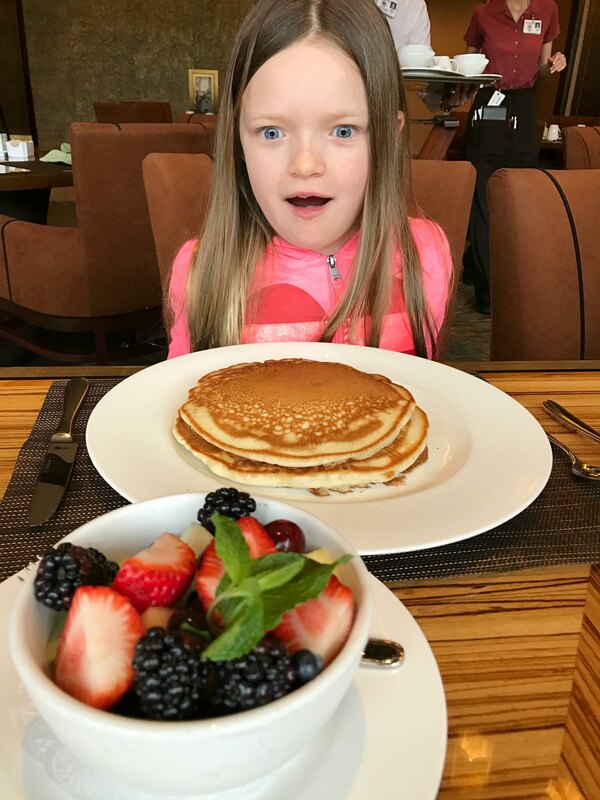 Emmy was a slightly excited about her fruit and pancakes! Ash always orders oatmeal and said hers was “perfect”. 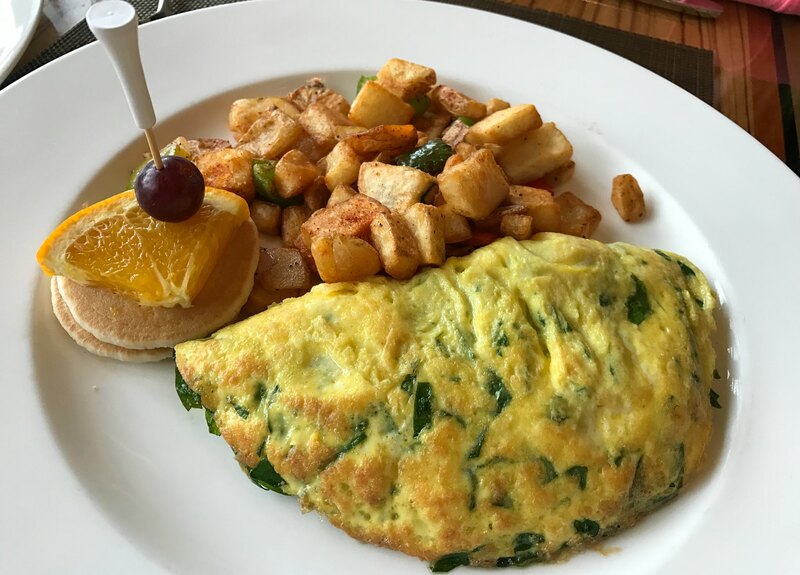 Pete's omelet was exactly what he was hoping it would be! The restaurant is in the golf clubhouse which is a short shuttle bus ride away from the hotel and casino, although it is still on the resort grounds. 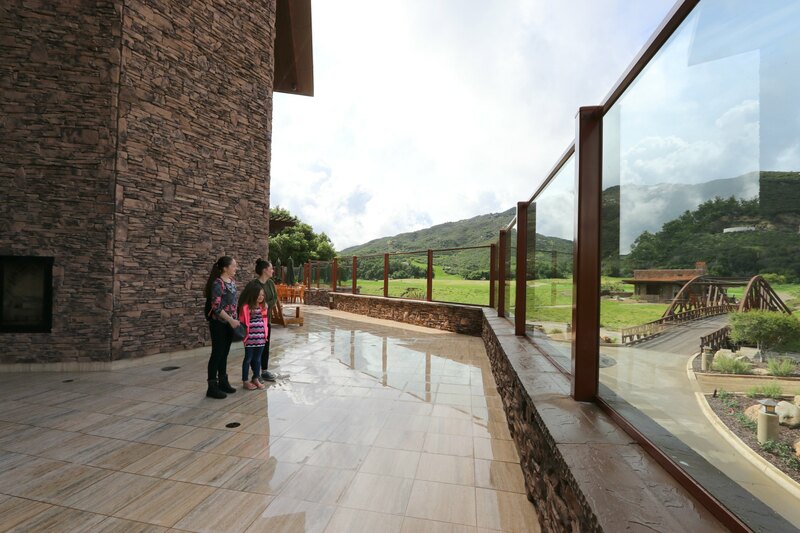 They have done a beautiful job with all the natural stone and wood elements and the girls thought the fireplace and patio were the best spots ever! Thankfully there was a break in the clouds after a couple days of rain and Em was able to go swimming before it was time for us to head home. The pool area is also being changed and a huge, new pool area will soon be opening! Pechanga has changed so much over the years and each time I can't imagine it getting better, but it does. 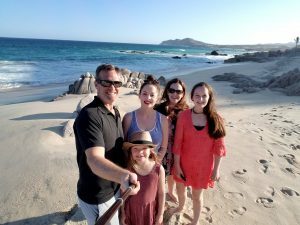 There are also a lot of family friendly things to do at the resort, like the pool, golfing and all the cruising options (there is a food court too and a coffee shop), but the city of Temecula is also perfect for families. To name just a few fun things for families to do in Temecula: there is a mall, Old Town for shopping, wineries, parks, hot air balloon rides, horseback riding and so much more! 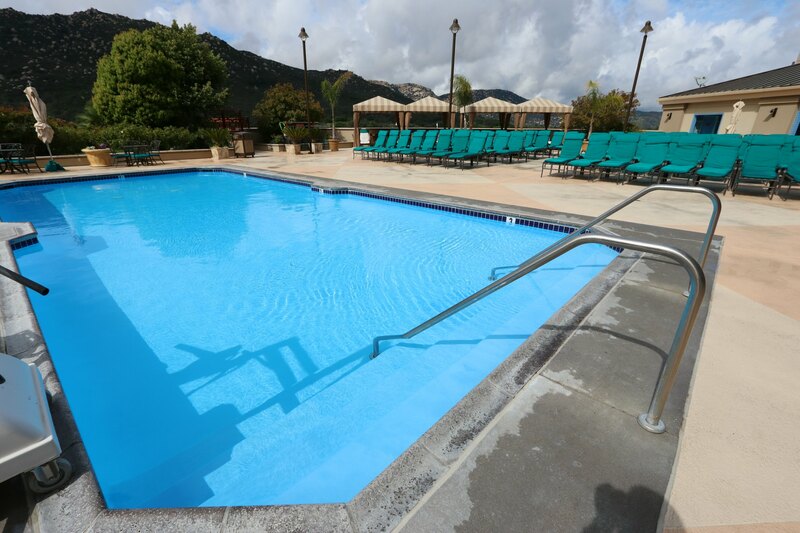 If you are looking to spend more than a night or two in the area, Pechanga also makes a great central location to enjoy the surrounding area with your family and friends. 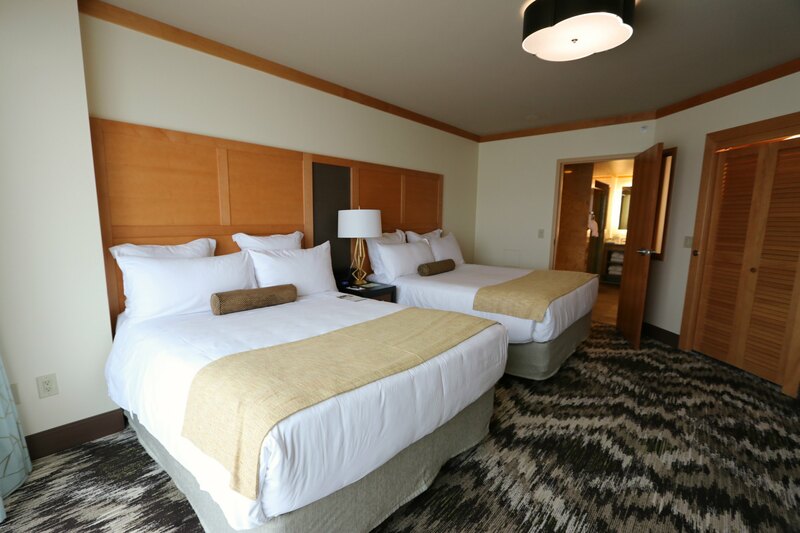 To book a Pechanga vacation and to learn more about this SoCal resort, visit them on their website and on social media: Facebook, Twitter, Instagram, and YouTube. Looks like a great place to spend some time, and you’re right, the room was truly beautiful. 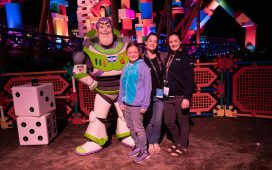 I’m glad you and your husband were able to find some time to just be together despite it being a family trip, too – that’s always a good thing! What a great place to stay! I love it. My daughter would love that pool. 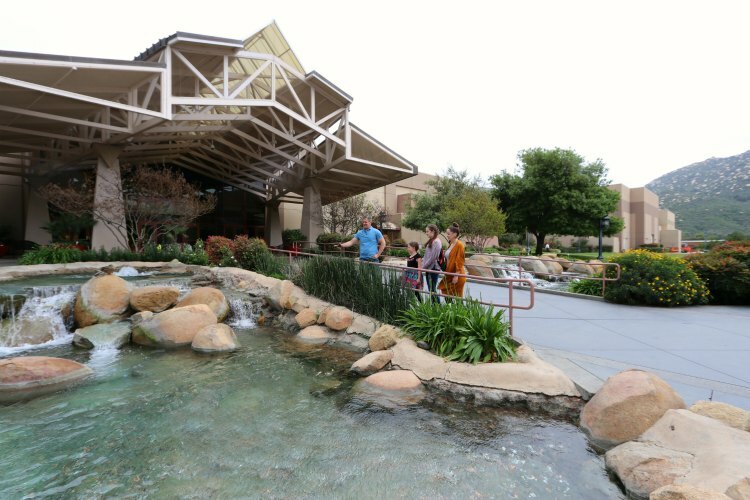 The Pechanga resort looks so lovely! 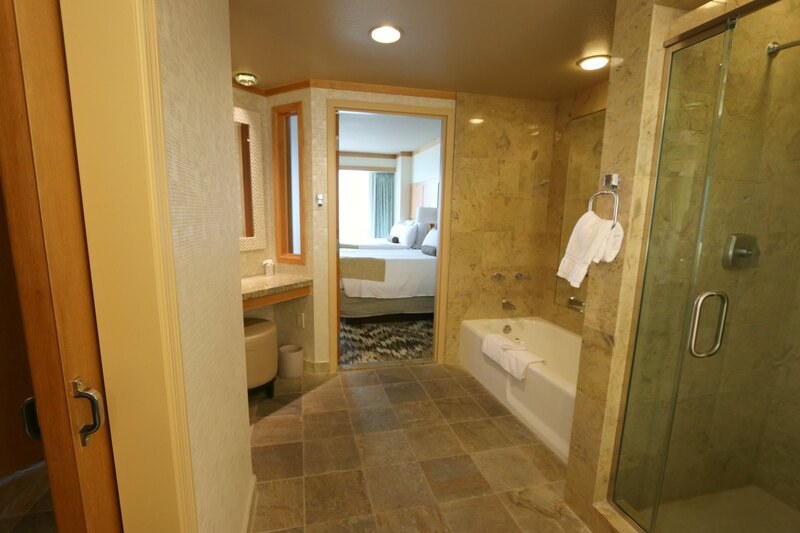 The room is so spacious and very luxurious. The buffet food looks incredibly good as well. I would love to visit one day with my family. That room is fabulous! 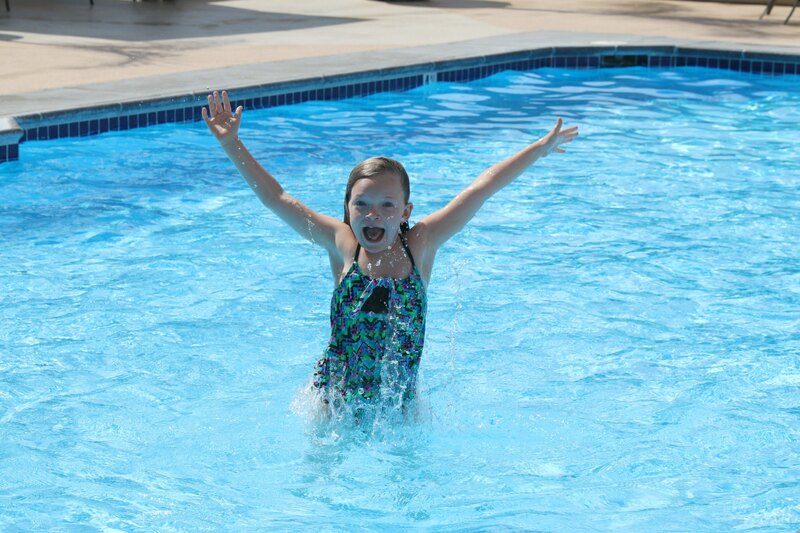 My kids would be perfectly content to stay at a really nice hotel and swim in the pool. 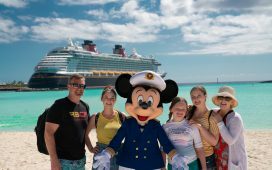 Forget staycacation – my kids would consider it a vacation! What a wonderful room. This room is so spacious and love that they serve sushi. Your photographs speak out the fun you had relaxing and chilling around in the resort. I can truly understand how work takes a toll on us sometimes and we really need to run out somewhere to rejuvenate. Great review. My friends and I have been looking for a good place to meet up in San Diego. Do you think this would be a good place for a large group or would it be too hard to get together all at once? It would be perfect for that. It is located right above San Diego in Temecula and would make a great location to meet up with small or large groups! You guys have been doing some really amazing work by sharing tips on blogging. It has been very helpful, and you deserve some time away. Pechanga looks so amazing! I could live in that hotel room! I will have to keep this in mind the next time I am in the area. I love Jamaican food too! We never did get to visit Pechanga once they built a permanent location. First time we went the casino was still in big tents! What a gorgeous place! It looks like you guys had fun! That bathroom though! I could spend hours in there! This was such a great post. I’m glad you and your family had fun! Great photos by the way. Seems like a wonderful resort! 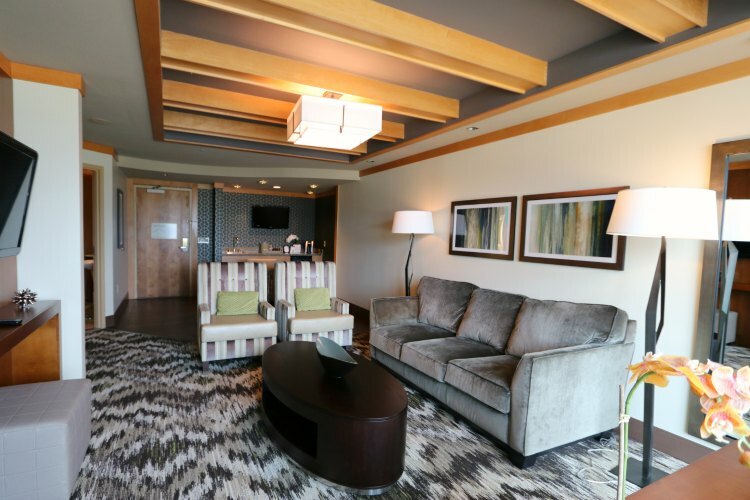 Suite is so luxurious and spacious. Will definitely visit this place when we go to California. This looks so beautiful. The location is so amazing!! Would love to go there!! SUCH a gorgeous resort! Definitely have to save this for reference, I love this place already haha! What a luxurious hotel, it looks gorgeous. Wow, I love everything about this place. It’s so peaceful, yet classy and modern! I’m loving this place! Anywhere that has a buffet has my vote. Hopefully I can make it here one day! It looks like an amazing vacation spot! They seem to be treating like kings and queens! The buffet looks amazing, the water is blue and clear and the room is gorgeous! 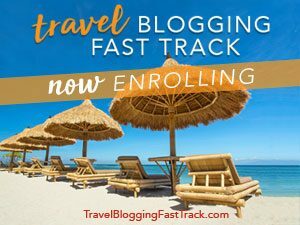 I am signing up! Wow – this place looks amazing! 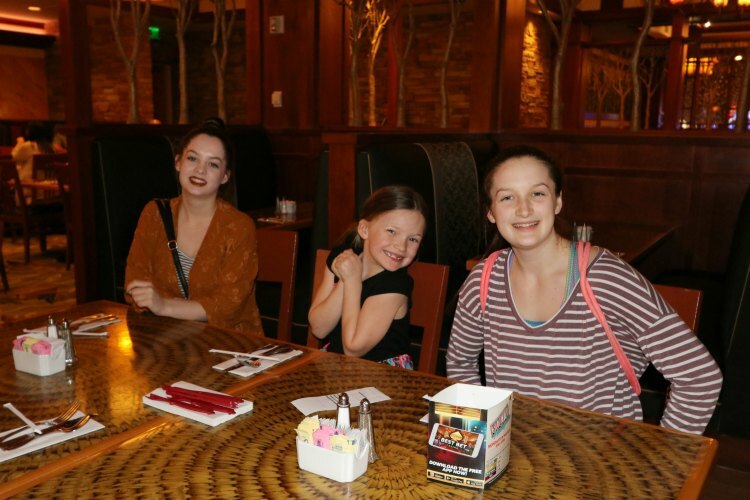 Glad you had a wonderful time with your family, and got to eat all that delicious food! This place looks AMAZING! And the food is making me hungry!! I would need a little R&R after all that you’ve been doing! This place looks amazing. I’m a food addict and the food looks absolutely perfect. It makes me hungry just looking at it. My aunt lives in San Diego. Next time we visit I have to check this place out! That hotel room is so pretty! I actually grew up in Southern California and the grounds of the casino are beautiful! I know many people that enjoy going here a few times a year. What a gorgeous place to stay! I love all the choices for your breakfast. And the room looks so spacious and cozy all at the same time! wow!its a great place for a holiday.Looks luxurious!Food looks delicious too! I have to take note of this place. I think we’ll have a little trip to CA in two months time. Although it is not really definite, but I would love to stay in the Pechanga Resort! I have never stayed here before and I think it’s worth taking the family here. I love that the resort has everything you need. The room is just beautiful. The food looks amazing as well! It looks so amazing. The photos are great and I like the design of everything. 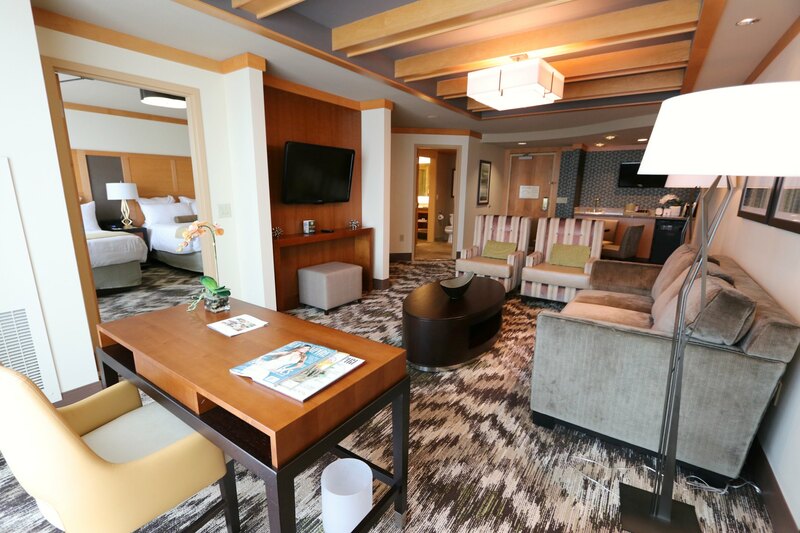 Your room is luxurious and the view is so lovely! I’m sure you all had a great time staying here! Just look at how lovely the room is. I’d go out here for a relaxing vacation! I really like the look of the room, with the modern furniture and the small details that make the design perfect. The open fire in the living room is a really beautiful touch as well. It’s absolutely beautiful! I love the beautiful scenery and the suite you stayed in is gorgeous! I’d love to go. 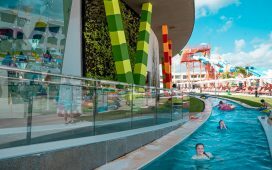 This place looks just fab for a family vacay!! I want to go!! Wow what a beautiful resort I’ve added it to my travel list. 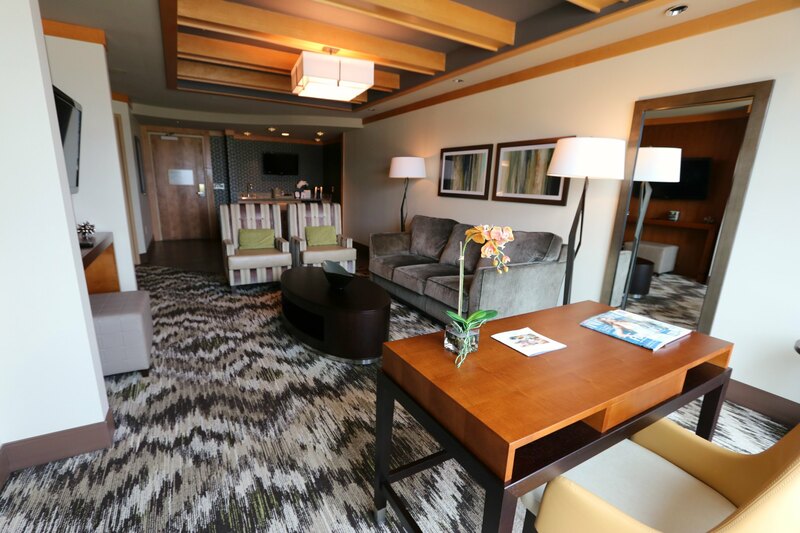 The suite look very nice and comfortable. That room looks amazing!! This looks like a really fun place to visit with kids. 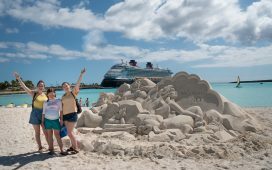 My kids would love to check something out like this! I would love the Casino! Oh that place looks absolutely amazing! Glad to hear you got a much needed break and that you guys had so mych fun. Your daughter’s eyes on that stack of pancakes was priceless. Stunning pictures.